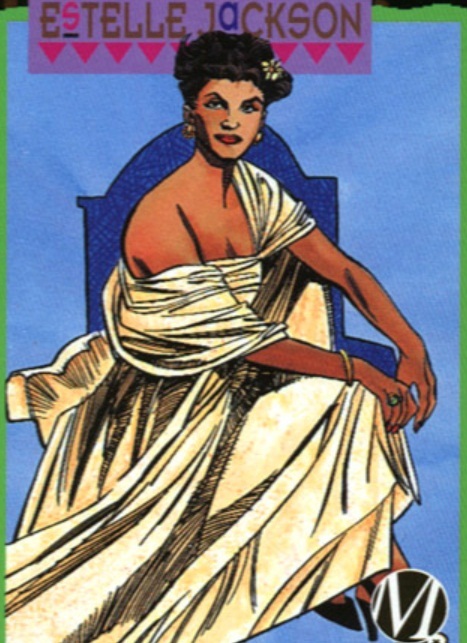 During the Harlem renaissance Icon met and married Estelle Jackson with whom he shared his every secret. Life with Estelle renewed his interest in humanity but he became disillusioned following the failed promise of both the Harlem Era and the post WWII Years. Estelle would keep him in touch with the civil rights movement from the1950’s through the 1970’s, until her death in 1977 from Cancer. She was the first person to propose that he use his powers for humanity’s betterment. His career as Icon is his final belayed gift to her.